Sony is getting ready to launch their Spider-Man spin-off franchise with Venom this fall, and hopes are high as the studio will be the only major contender outside of Disney with the rights to Marvel characters after the Fox merger. The studio is ramping things up with Jared Leto starring as Morbius the Living Vampire along with Richard Wenk writing a Kraven the Hunter movie. Now it has been revealed that Sony is taking the Silver & Black movie and scrapping it in favor of two separate standalone films. 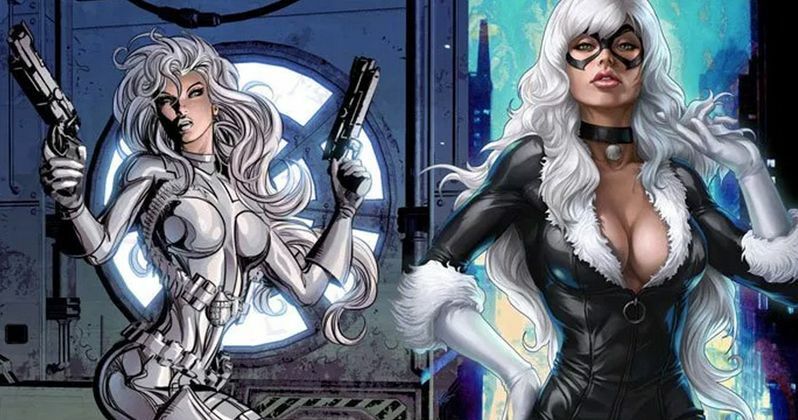 With the latest turn of events with Disney and Fox, Sony is looking to rework some of the previously announced titles, and Silver and Black is getting a total makeover. Sanford Panitch, president of Columbia Pictures, states that they want to be as faithful to the comics as possible and they believe that Black Cat needs a standalone movie first. The studio believes that the character has an interesting backstory to justify a solo project. Panitch explains. It is believed that Gina Prince-Bythewood, who was originally brought on to write and direct Silver and Black, will depart the project but stay on to produce the two solo films. It is not confirmed that Prince-Bythewood will leave, but Sony insists that if she does, they will hire another female director and writer to take her spot. The studio is also excited to work with Prince-Bythewood on other projects in the near future. As for other female characters in the Spider-Man spin-off projects, a Silk movie is also in development at Sony as well. Silk is a Korean-American superheroine and there have also been talks to bring in Jackpot, the masked vigilante, who is an older heroine. Jackpot has a very intriguing origin story that would make for a great movie. Sanford Panitch also talked about diversity in the Marvel universe while discussing how the aforementioned characters connect to Spider-Man. He had this to say. "Spider-Man connects to a lot of the characters. There are villains, heroes, and antiheroes, and a lot are female characters, many of whom are bona fide, fully dimensionalized, and utterly unique. We feel there's no reason the Marvel characters shouldn't be able to embrace diversity." As for when the Black Cat movie will start filming, that's anybody's guess at the moment. However, Morbius the Living Vampire will be the next Sony project to film after Venom. The Morbius film is expected to begin production by the end of this year or early next year, which means that Black Cat could be placed next, depending on if Gina Prince-Bythewood stays on board to write and direct that movie as well as the Silver Sable film. You can read more about Sony's upcoming Marvel plans at Variety.